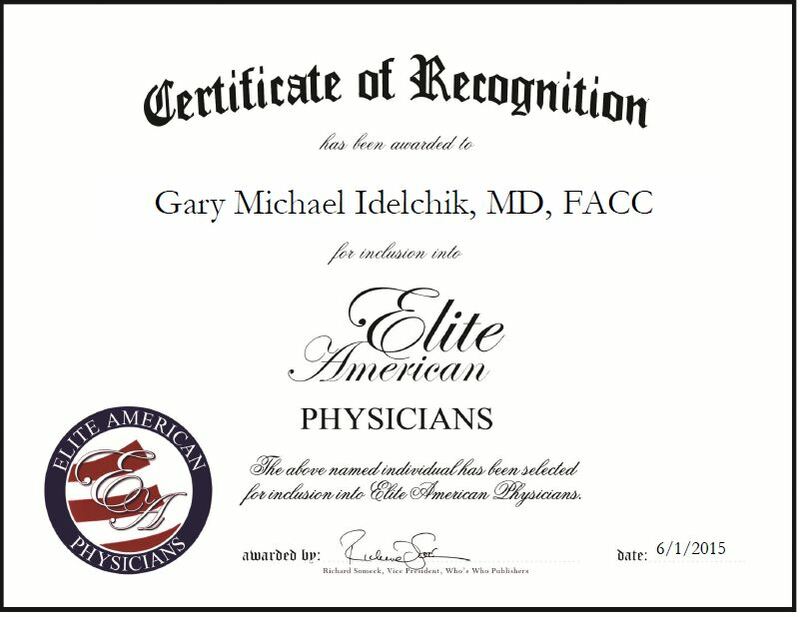 Saratoga Springs, N.Y., June 1, 2015, Gary Michael Idelchik, MD, FACC, Interventional Cardiologist at Saratoga Hospital, has been recognized for dedication, achievement and leadership in cardiology. Dr. Idelchik’s interest in medicine began at the age of 5 when his grandfather underwent bypass surgery. There was an issue during the surgery with the mitral valve, which wasn’t recognized until months after the surgery. Additionally, Dr. Idelchik’s interests in physics and chemistry led him to pursue a career in medicine. He chose cardiology because he felt that most diseases affect the heart in some way. Throughout his career, Dr. Idelchik has been affiliated with 14 hospitals and recently moved from Texas to New York to further his career. Well-respected for his ability to diagnose cardiac and non-cardiac illnesses, Dr. Idelchik prides himself on his ability to listen and relay information to the patient. He believes it is important for patients to understand exactly what is happening within their bodies. He believes trust is created between patients and doctors through clarity and patience. 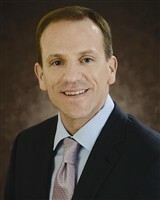 Dr. Idelchik spends his days performing cardiac catheterization, providing cardiovascular services, performing transradial coronary interventions and peripheral arterial interventions, treating peripheral vascular disease and structural heart disease, including valvular heart disease, providing critical cardiac care and cardiac support devices, and assessing the physiology of coronary artery disease using nuclear cardiac imaging and echocardiography. Dr. Idelchik has won numerous awards for his dedication and commitment to the field of medicine, and was named to Top 10 Doctors by State, Cardiologist Specialists in Texas, and Most Compassionate Doctor by Vitals, and Top 10 Doctors. A board certified cardiologist, Dr. Idelchik is grateful for the opportunity to help people live long and healthy lives. He hopes to evolve the functions for diagnosis and model techniques for cardiac services. He also plans to start a heart attack program at Saratoga Springs in the coming years. This entry was posted in Cardiology and tagged bedside manner, cardiovascular services, coronary, patient care, Top Doctors, valvular heart disease. Bookmark the permalink.